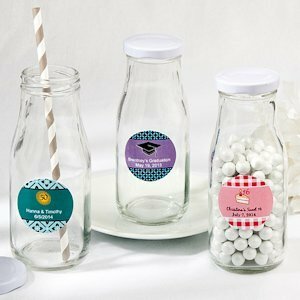 These sweetly designed milk bottle favors are a great gift to help celebrate a graduation, Sweet Sixteen, wedding and more! 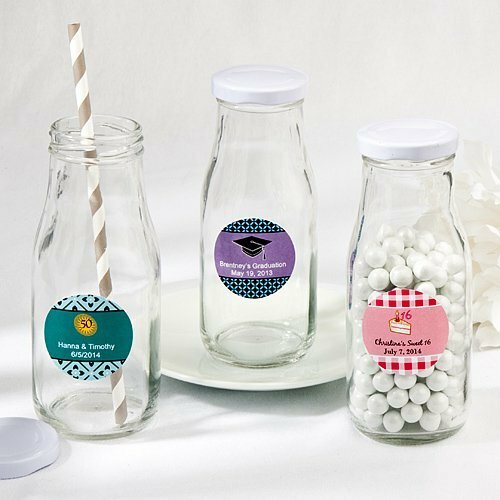 Leave them empty or fill the glass bottles with candies or use them for your beverage - the possibilities are endless. The 1.75" personalized labels feature numerous color combinations, design choices and the ability to add your own text for a thoughtful way to send your guests home with a treasured keepsake.